New documentary will place WWII camp in larger context of site’s history. 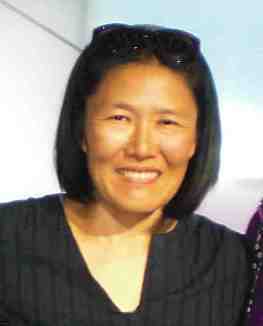 Participants in the Manzanar Pilgrimage this Saturday will have an opportunity to see “Manzanar, Diverted,” a work-in-progress by filmmaker Ann Kaneko, from 8 to 9:30 p.m. (after Manzanar At Dusk) at the Museum of Western Film History, 701 S. Main St. in Lone Pine. The film includes interviews with Kathy Bancroft, Lone Pine Paiute-Shoshone Reservation officer, who will attend the screening; Henry Nishi, former incarceree and son of the landscaper of Merritt Park (a community garden at Manzanar); Jane Wehrey, former National Park Service ranger and Manzanar historian; Gann Matsuda of the Manzanar Committee; and members of the Eastern California Museum in Independence. Kaneko’s parents were incarcerated in the two War Relocation Authority camps in Arkansas — Rohwer and Jerome — and she visited Manzanar a number of times with her parents while growing up in Los Angeles. “I couldn’t quite picture how this quiet place had been a ‘camp,’ which always seemed like such a bustling place of human interaction, according to my parents’ descriptions,” she recalled. “I never questioned how or why this dusty, remote desert at the foothills of the Sierras became home for over 10,000 Japanese Americans. Of all places, why here? 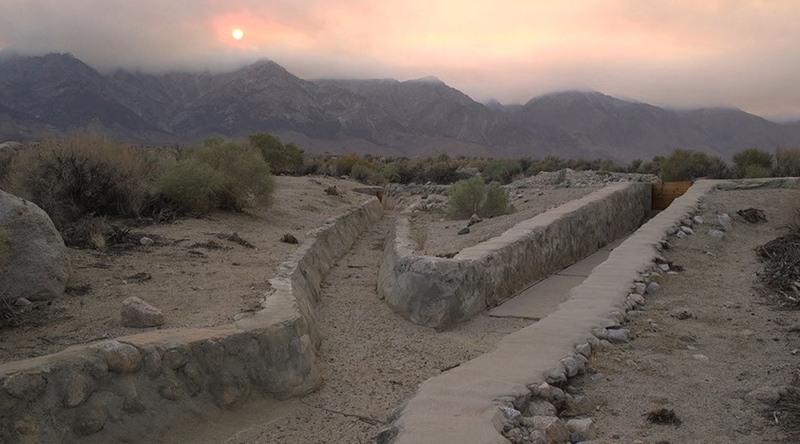 In the course of her research, Kaneko was “dumbfounded” to find out that the Los Angeles Department of Water and Power owned over 90 percent of the Owens Valley. “As an L.A. native, I knew that much of our water came from the Sierras, but I didn’t fully realize that L.A. owned the land and water rights of such an enormous parcel of land that was the watershed for the L.A. Aqueduct. I was embarrassed that I didn’t know this. “Water, which made this a rich homeland for Native Americans, was also the reason it was desirable to the LADWP. It was hard to fathom how this municipal entity held title to so much property in Inyo Country, outside of the city’s boundaries. Now I understood why the Owens Valley was so untouched and dry — it wasn’t just a happy accident that it remained undeveloped. “Interestingly, it was the LADWP who suggested to the federal government to explore Poston. They didn’t want a camp on DWP land and had been looking at the Colorado River as a source of water for Los Angeles. One of the requirements for establishing a camp was the resource of water so that internees could grow food and make the camp self-sustaining. Poston and Manzanar had this in common. Through her research, Kaneko also found that “there are many others who have been trying to unify these different stories for many decades. [Manzanar Committee co-founder] Sue Embrey was always respectful of the Native Americans who she knew originally resided on this land and made an effort to include them in discussions around the establishment of the historic site. In recent years, the fight against LADWP’s plans to establish solar farms near Manzanar brought many of these interest groups together — Native Americans, environmentalists and members of the Manzanar Committee. “I wanted to share my experiences uncovering this story and my desire to introduce it to the larger Manzanar community. Through this film, I hope to bridge communities that have often stayed separate, making us all more aware of the enormous amount of work to be done fighting continued social and environmental injustice. Manzanar is a story that resonates strongly today in our current fight for self-determination and resources. “As I read about the Native American fight against the construction of the Dakota Access pipeline that could potentially contaminate drinking water and disturb what have been considered sacred tribal lands, I think of how familiar these stories are and that however we identify ourselves, we must help to fight corporations and governmental agencies that have little regard for the environment or its people. Kaneko has explored Nikkei issues in other films, including the 2012 documentary “A Flicker in Eternity” (co-directed by Sharon Yamato), the story of Stanley Hayami, a teenager who was detained with his family at the Heart Mountain camp in Wyoming. He joined the 442nd Regimental Combat Team and was killed in action, but the diary, letters and drawings he left behind made it possible to tell the aspiring writer/artist’s story in his own words. “Against the Grain” (2008) is about Peruvian artists. “One of them is Japanese (actually Okinawan) Peruvian, who talks about his experiences as a son of immigrants and the experience of being Japanese Peruvian with the backlash against former president Alberto Fujimori,” Kaneko said. “Overstay” (1998) is about undocumented workers in Japan. “I was curious about their experiences as I thought about my own grandparents’ experiences,” Kaneko said. Another work-in-progress screening of “Manzanar, Diverted” was held on April 14 at the Association of Asian American Studies Annual Meeting in Portland, Ore. To see a clip, visit www.annkaneko.com.